HomeUncategorizedHomeopaths Embrace Vaccination Against Measles – Or Do They? There is no general reason why a child in the UK should suffer measles. We have excellent and safe medical technology to ensure communities can be free from this nasty disease. And yet, we are seeing hundreds of children in South Wales currently being infected and many being hospitalised. Your favourite Tory MP, Dr Sarah Wollaston, has been concerned about her own constituents in Totnes where full MMR uptake rates are at a frightening low of about 70%. A few miles away in Brixham, the number is nearly 94%. It has been common to blame the media for spreading fears about MMR, but we are all exposed to the same papers, TV and radio programmes. And all sections of the media have pretty much been as bad as any other. 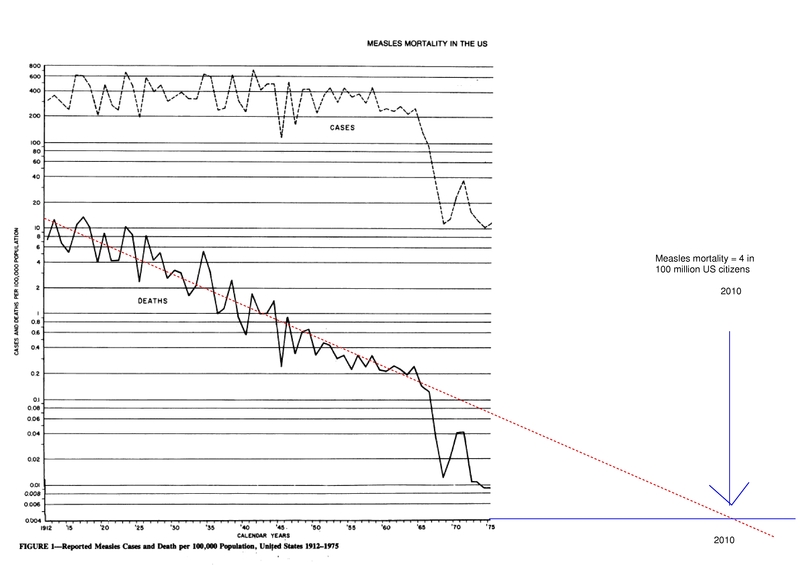 To explain the large discrepancy between MMR uptake in two towns, a few miles apart, other factors must be involved. Totnes stands out as being a market town which thrives on an alternative and New Age culture. It is home to the Society of Homeopaths Education Department. Totnes also has a Steiner School. (Steiner Schools embrace homeopathy for the treatment of children and suffer measles outbreaks as a consequence). Nearby is the Schumacher College where you can do an MSc in Holistic Science and courses in Modern Zen Cookery and Writing from the Core of the Earth (leave your laptops and phones at home: the course leader is electrosensitive.) A walk up the steep High Street will allow you to pass a GP practice that holds alternative medicine cancer conferences, and many New Age bookshops, cafés and food markets. The results were reported in the Guardian. There is no evidence to suggest homeopathic vaccinations can protect against contagious diseases. We recommend people seek out the conventional treatments. The Society of Homeopaths also made a statement. The Society does not endorse the use of homeopathic medicines as an alternative to vaccination for the prevention of serious infectious diseases and recommends that members of the public seek the advice of their GP, and/or relevant Department of Health guidelines, concerning vaccination and protection against disease. The Society supports informed decision making in regard to vaccination and recommends that patients seek advice from their GP, as well as organisations that specialise in providing information about this complex issue, so they can make an informed choice for themselves and their children. In there, I would suggest, lies a lot of ambiguity. Wollaston also asked Health Secretary Jeremy Hunt to make a similar statement in the House of Commons. Previously, Hunt has made statements that appear to endorse the use of magic pills on the NHS. There is no scientific evidence whatsoever that homeopathic products can provide protection against measles. The right thing to do is to get two doses of the MMR jab. As I said earlier, anyone whose children, whatever their age, have not had those two doses should contact their GP. That is about as unequivocal as you can get on the issue, so well done Mr Hunt. So, can we believe that the homeopaths have finally put away their anti-vax rhetoric and are doing the ethical and sensible thing of warning parents away from homeopathy for the treatment of this dangerous disease? I would suggest not. In fact, I would suggest these statements are the minimum necessary required to deflect attention away from themselves during this crisis – and no more. Why do I say that? We have to remember that homeopathy was anti-vaccination long before Wakefield came on the scene. Homeopathy defines itself in opposition to mainstream medical practices. Research would suggest few, if any, homeopaths in the UK would advise a parent to take MMR. Why would this suddenly change? We should be aware that it was a director of the Society of Homeopaths, Richard Barr, who paid Andrew Wakefield £435,643 to find evidence to discredit MMR. Barr raised that money from Legal Aid in an attempt to bring a speculative class action lawsuit against the makers of MMR. Wakefield himself was patenting an alternative vaccine to MMR, but this vaccine had no chance of success unless confidence in MMR was thoroughly damaged. Homeopaths since the scare have profited from the false fears and sold alternative homeopathic vaccines. Reporter Sam Smith on BBC South West exposed Ainsworth’s pharmacy selling a range of dangerous homeopathic products that were used by homeopaths to treat and prevent measles. The Medical homeopaths, represented by the Faculty of Homeopathy, in their statement tried to blame ‘unqualified’ homeopaths. I don’t know where the parents in Totnes are getting their information from – it certainly is not us. There is no legal regulation of homeopathy in the UK and anyone can set themselves up as an expert. It is those people who tend to give us a bad name. The Faculty need not look too far to find out who to blame – it certainly is their own members spreading misinformation about MMR and advocating homeopathy. Member of the Faculty of Homeopathy, Dr Jayne Donegan, has recently posted a statement about the current measles outbreak. Donegan appears to share the belief held by many in the alternative movement and Steiner Schools that measles is a beneficial disease for children. Put them to bed, open the window (preferably nurse them in the garden), give then plenty of clear fluids and NO FOOD unless STARVING. You might want to give them some homeopathic remedies or keep them in a darkened room. So, GMC registered doctors can be supplying this sort of advice to parents about MMR, measles and homeopathy. As such, we should take the Faculty of Homeopathy’s statement with a large pinch of salt. Whilst their members hold such views and practice as such, their reassurances are meaningless. As for the non-medically qualified homeopaths, as represented by such organisations as the Society of Homeopaths and the Alliance of Registered Homeopaths we should be even more wary. Homeopathy is a complete system of natural, evidence-based, medicine which works on the principle that ‘like cures like’. Homeopaths indeed hold the fantasy that it is ‘complete’ – there is no need for anything else. As such, their statements that they do “not endorse the use of homeopathic medicines as an alternative to vaccination” should be taken in the light that they do not endorse homeopathy for any particular condition – they have no need to – their beliefs are that it is complete. Yet measles is not ‘dreadful’. And the MMR vaccine is not safe. So the NHS are telling us to take a medication that is dangerous to prevent an illness that is not serious. And the treatment of the measles, with homeopathy, can take the fear of the illness away, completely. With the numbers in the South Wales outbreak getting near 1000, we may not be surprised if a child dies. Yes, the press have been blind to their own errors in raising unfounded fears, but we must not forget that these fears are being actively stoked, encourage and profited from by a range of alternative medicine groups, most noticeably the homeopaths. Unless the homeopaths themselves take urgent and thorough steps to stamp out such beliefs within their own membership and lead with a culture that respects evidence and reason, I would discount any statements they make. I suggested a few months the MHRA’s inaction over homeopathic vaccinations and pills will kill children. I will repeat it as they have the ultimate responsibility to protect the public from dangerous and superstitious medical products. Children will be harmed by this inaction. Children will die. And the fault must lie with Professor Sir Kent Woods, chairman of the regulator. The Dianthus Medical blog issues a challenge to the Society of Homeopaths regarding their statement. 52 Comments on Homeopaths Embrace Vaccination Against Measles – Or Do They? The Town Council are content to leave it as it is, and the Mayor is rather amused. So, to some extent, honesty does prevail down here in the South Hams. I am not pleased with Hunt. He made no comment until 1000 children have caught the disease. 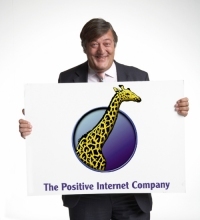 At lease the Chief Medical Officer has more cojones – ‘It’s rubbish.’ Well done Dame Sally! 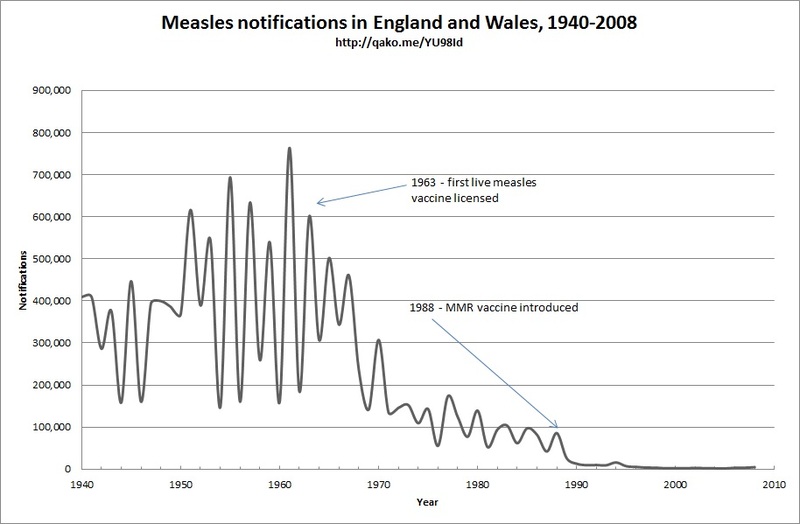 whilst it’s a good point that’s made against anti-vax people that they don’t use morbidity graphs, i see there is an awful lot of comments regarding the swansea outbreak of measles? There is something positively surreal about the very existence of an “MHRA Advisory Board on the safety and efficacy of Homoeopathic Products”. It would certainly help of the MHRA took its own strapline a bit more seriously. Research the methods of preparation for homeopathic medicines. Don’t worry, not even the most suicidal or irresponsible person could take an overdose on homeopathic medicines. I think we should campaign for Homeopathy to be considered a serious medicinal field. Then the medicines will be subject to full MDHA examination, and all papers subject to peer review. Let homeopathists fight these battles in journals and scientific magazines. Then we will discover the truth. Another point – homeopathy is a great way of avoiding the antibiotic resistance problem we are all facing. Let homeopathists practice; it saves the NHS money prescribing drugs that are not always needed (i.e constipation relief pills, antibiotics for flu, cold relief, antihisthamines, calpol e.c.t). Just prevent them from prescribing drugs that do not work for cases that need real medicine, such as cancer treatment, vaccinations and serious bacterial infections such as pneumonia or bronchitis. Try the non Glaxo Klein approved graphs. Please elaborate Chris – just what exactly do you think these graphs show? What do you think they show? Do you see a difference from the one at the top here? Sticking to the US graph, the first thing I see is that there is a lot of recent data missing. Despite that, the creator of the graph seems pretty confident to forecast a simple linear trend, resulting in zero measles deaths by 2010. To me, It looks like the product of someone who doesn’t know what they’re doing. Regardless, both measles cases and deaths appear to respond with reductions around the time of introduction of the first measles vaccine. Especially measles cases. For deaths, I would assume that improvements in treatment reduced mortality in the years before the introduction of the vaccine. The main thing I’ve noticed from your posts is a reluctance to come out and say exactly what you are implying. Less of the wink wink hint hint please. If you really believe that vaccines arent responsible for a reduction in measles cases and deaths, then come out with it. You’ll be shredded regardless, so you might as well be honest. It is a common tactic of antivax loons to claim that mortality was falling anyway prior to the introduction of vaccines. This ignores the significant morbidity associated with measles. 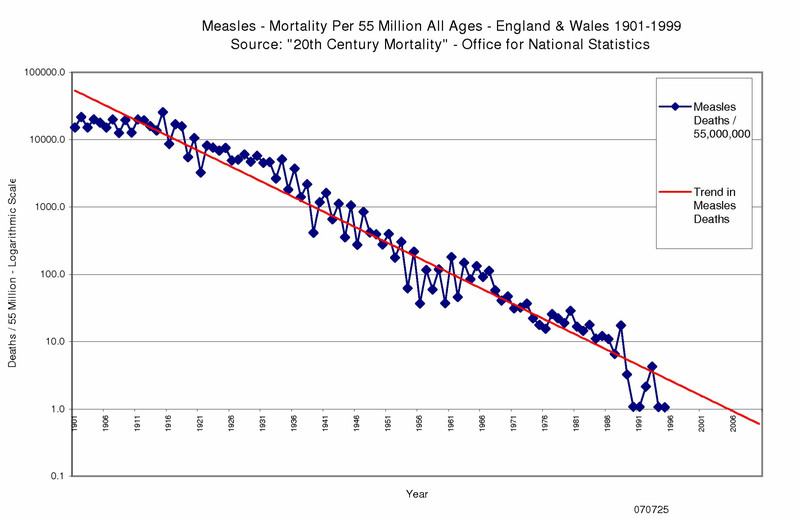 As for the first graph linked to by Chris, there appears to be a marked reduction in mortality following the introduction of the first measles vaccine in the early 1960s, which rather undermines his disingenuous antivax point. Chris, would you like to declare that you are a homeopath? Need a soundbite do you? I’m someone interested in looking how things are, no agenda. Chris – you are Chris Wilkinson RSHom, a homeopath working in Bristol. As such, you have a vested interest in undermining vaccines and promoting your own commercial interests. If you are not honest enough to declare your conflicts of interest here, others will for you. I find your use of those graphs fascinating. It raises all sorts of questions. 1. The disconnection between measles mortality and case incidence is so clear that if someone cites solely the mortality data then one must ask why this has been done. I think there are several possibilities. a. The person doing so is unable to understand how to handle the numerical data that underlies decision making in medicine. They should be regarded as incompetent to comment in this field. b. The person doing so knows perfectly well that the data they are presenting do not support their case but are doing it in the cynical hope that this will not be spotted. c. It’s being done as a joke. Chris, pick an answer or provide your own fourth option. 2. It seems that you do not wish to come out flatly and deny the effectiveness of the measles vaccine, but want to engage in an exercise in nudging and winking. a. Do you fully support the routine vaccination of children against measles? b. Do you strongly recommend the routine vaccination of children against measles? c. Why would you hint that you do not support routine vaccination against measles rather than honestly stating your opinion? Hello, Chris, are you still there? Chris, those graphs only deal with mortality. It has nothing to do with effectiveness of vaccines, but the improvements in real medicine that keep more people alive after they get measles. This is why about 10% of the those with measles in Wales are in hospital. Many of those will become permanently disabled, let us hope than none actually die. Now, here is the data from the USA Census Bureau in the form of table. The first graph you posted does include morbidity. So look at the following table and tell us exactly how the incidence (morbidity) of measles fell by 90% in the USA between 1960 and 1970. Please do not mentions deaths (mortality), any other decade and any other country (some who I have asked this actually think England, Wales and even Japan are part of the USA!). I notice that there are two Steiner Schools in South Wales, which is a little worrying given that the Health Protection Agency regards them as an essentially unvaccinated community (along with the travelling community). Have we heard anything from or about them regarding any attempts they are or aren’t making in protecting the health and well-being of the children in their care? Is there any explanation for the approximate 2 year cycle in the opening graph? Was there an effective herd immunity conferred for a year after an outbreak and then a new susceptible population then became infected? I remember being put in a dark room for weeks with measles. Very boring when the light was almost too dim to read to pass the time (pre-TV). Thanks for excellent resume and your analysis of the ambiguity of the Homeopaths’ position. Your piece has a left out one interesting element in the this story. On sale last week in a W H Smiths near me is the latest copy of the horrible magazine “What the Doctors don’t tell you”. It features on its cover, in large large type, a headline which seeks to so that MMR is dangerous. Indeed the word “dangerous” is used. Inside this rag is an article which runs to several pages which elaborates this woo. I considered complaining to the lass behind the till and decided that nothing could be gained by making her life miserable since the decision to stock this rubbish is made a lot high up the company. I was wondering how many copies of this tosh are selling in Swansea. What can be done to bring this cynical & exploitative rag to its knees? There is an omission from this otherwise excellent report. What is the ongoing role of the disgusting rag “What the Doctors Don’t Tell You”? On sale at our nearest W H Smugs last week was the latest copy of this rag. Its cover rages against MMR and uses the word “dangerous”., as does a long article inside. I considered complaining to the young lady at the till but decided that would be unfair since the responsibility for stocking this disgusting rag lies much higher up the company. (I did manage to re-arrange the stock on the shelf so as to hide the bulk of this rubbish from the public). Does W H Smug dare sell this tosh in Swansea? Why do the owners of this rag go on like this, (other than for profit, of course)? The ‘Rag’ will fold in time. Unfortunately, possibly a long time. It’s called ‘survival of the fittest’ (and will selectively dispense with its readers) and the process is ‘evolution’. Come back in a few millenia. In the meantime, lets all your chums know about the Quackometer! A combination of 5XX error massages and my impatience has left multiple copies of my last comment. I have sent an apology to Andy and suggested he might like to do some “pruning”. It would appear that the first measles stiff has been carted off to the morgue. That was on the BBC news but may need confirmation – it may be possible that the deceased died with measles rather than from it. However, with a fatality rate of 1:1000 (in the developed world) and over 800 confirmed cases it would hardly be a major blow to statistics if the cause of death was measles. The graph at the top of this blog page (and the equivalent graphs for smallpox etc) should be tatooed on the foreheads of the morons who did not vaccinate their children (allowing for lowbrow room). And an appropriate four lettered word should be tatooed on the foreheads of the meeja studies graduates in the local press. I can suggest one. I would not give homeopaths the credit of influence that you give them Andy. For a start the vast majority dont believe in homeopathic prophylaxis. The vast majority know also to leave vaccination to the GP. Those who dont may regret it. Most people are going to go to their GP for advice about vaccination and not to a homeopath. The 10% or so who dont vaccinate have decided for themselves it seems. Go to the anti Vaccination sites and you wont see much mention of homeopathy. The anti vax movement is driven by parents of children who claim have had reactions from vaccinations and not by homeopaths. Another attempt to link homeopathy with measles vaccination. This should eventually be another failed campaign but your spin is better this time so have a B+. Your campaign last year really was a C- with Warhelmet in detention. Are you serious? Australia’s peak anti-vax lobby group can barely go a week without promoting homeopathy as a viable alternative to ebil vaccines. The weird thing is, they promote the idea that childhood diseases are good and character-building and the like, then recommend parents use homeopathic vaccination to avoid those diseases. But then logic and consistency are not strong in the anti-science set. Yes, Andy, but this is Grumpycat’s routine schtick. He can’t quite come out and say honestly that he thinks homeopathy is a replacement for medicine but he’s always quick to deny that there is any reasonable basis on which to criticise homeopathy and those who sell it. Arguing with him is like wrestling with fog. I’ve given up. Sorry guys but to nail UK homeopathy you will need UK examples. You have a few however you cant nail the vast majority of homeopaths in the UK because there is no issue for the authorities to worry about. They know that. That is why you sit there gnashing your teeth . It is not my fault your hype and spin was found out long ago. Thing is Grumpycat, whether homeopaths can be nailed is one thing, Whether homeopathy works and whether homeopaths are charlatans are two other things. This distinction seems to elude you. Sorry GC, when you said “The anti vax movement…”, I thought you meant “the anti vax movement”. It’s not like anti-vax is a UK-only phenomenon. @Andy – I guess you’re aware and I suppose you’re working on it, but is there any sign of a fix for the whole archive problem thing on your blog? Oh, and now I see the whole front page has gone pear shaped. Grumpycat seems to have left the building. The reality of course is different from one persons blog bluster written to wind the likes of BSM up. You fall for it but no one with authority does. Interesting assertion, Grumpycat. Steve Scrutton writes his blog and websites just to wind up sceptics not because he really thinks those things. So, are you saying his real views are different from his public statements that are consistent in tone and content across various platforms? Is it so important to him to wind up sceptics that he would actively misrepresent himself? Grumpycat, listen to the little editor in yiur brain. If what you are about to type is as silly as what you have just said, then it’s time to stop. Who are these people ‘with authority’? A brief google finds a press release from Scrutton’s organisation, the ARH, demanding safe and effective prophylaxis for flu and citing homeopathy. I wonder whether other ARH officers were happy with Scrutton using their press releases as a vehicle for a private campaign of sceptic-baiting to which Grumpycat asserts he devotes so much time. Dammit, the ARH even told parliament about the alleged effectiveness of homeopathic vaccination. I suppose it can be argued that a truly effective practical joke is sustained without any break in the facade. Is that what you want to tell us, Grumpycat? True, nobody with any authority falls for the nonsense that is homeopathy. That includes the ASA. Let’s try for a straight answer to a straight question. Are you a homeopath and a member of one of the various homeopath organisations? You are being a tangentalist BSM. You will be pleased to know that I dont treat people. Most of homeopathy is not coming into conflict with this issue as you can see by the statements on vaccinations. You cherry pick some examples and then extrapolate. “I don’t treat people” is a claim made by practitioners of several alternative-therapy. So, just to be clear, do you mean it in the sense that you do not practice any sort of remedial therapy on others, or in the sense that you don’t consider your practice to constitute “treatment”? You will be pleased to know that I dont treat people. That just goes to show you can sometimes be right. The similarity between the fake detector man and sugar pill merchants is that they are both responsible for numerous deaths. The difference is that fake bomb detector man got banged up for ten years. There would appear to be one law for quacks and one law for other quacks. If only there were one law for all quacks. I would like to see a few of the dimwits who bought his worthless tat banged up as well. Now only eleven stay of which 4 even now retain their operating mechanisms. Make a guarantee to by yourself that this time will be about wellbeing, not about brief phrase weight loss. Being overweight has become a phenomenal difficulty in the US. Or have you set a waggonload of monkeys loose on your keyboard? More charitably is English not your first language? I am pjdsen’s personal homeopathic physician. I can confirm that pjdsen’s medication should have been shaken, not stirred, which happened by mistake. Hence the effects you see above. This all goes to prove that you have to be very careful when preparing your water. HPA data now available for Jan to March. Apparently only 26 confirmed cases of measles in Wales for the whole 3 month period. It appears that GPs notifications were somewhat over-enthusiastic, thus destroying the credibility of doctors, the NHS, media and government. Link please? And what about the over eighty that needed hospital treatment. Why wouldn’t they confirm the measles for them? Data on confirmed measles cases and their immunisation history continues to be actively collected during the outbreak. The validity of the data will not be finally confirmed and published until after the outbreak is over, therefore the following statement is a preliminary and may be revised. Current data (to 26 April 2013) from the outbreak shows very few confirmed cases have caught measles after having had the MMR vaccine. The vast majority of confirmed measles cases are individuals who have never been vaccinated with MMR. Less than 10 laboratory confirmed cases are reported to have previously received any MMR vaccination. Incredible points right here. I’m just able to seem this page. Thanks a whole lot that i’m anticipating call a person. Will you kindly drop me a send? your in tha pay of big farma & capitistas. i will never vacc my kid…. Well, that sure convinced me. Up until now I have been reading nuanced and erudite discussions of the vaccine situation form experts in the field (people like Dr. Paul Offit), obviously I had forgotten to listen to the all-important semi-literate crackpot sector and I now see that this was wrong.